← The dress that is rocking my world right now! 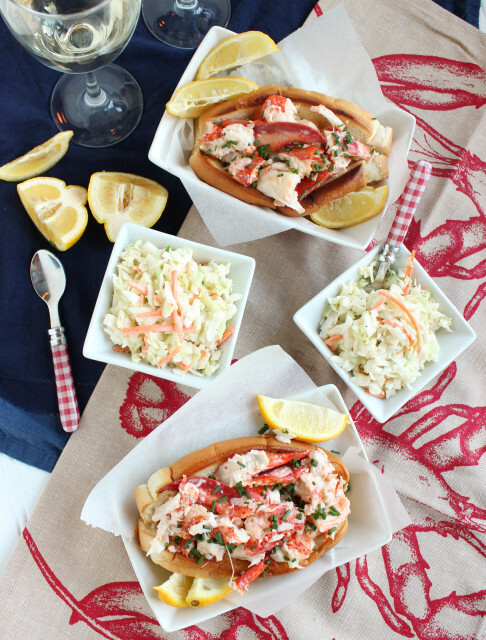 I associate lobster rolls with ocean air vacations and sandy feet. Typically a little too heavy on the mayonnaise, I discovered this lighter-tasting recipe on domino.com this weekend. We only had a single 1 lb. lobster, so we cut the recipe by 2/3 and had one each. This delicious recipe makes 4 rolls and takes about 25 minutes. Chop the tail into bite sized pieces and place in a large bowl with the claw and leg meat. Whisk the mayonnaise and lemon juice in a small bowl and season with salt and pepper to taste. Gently toss the dressing with the lobster meat and set aside. Heat a medium skillet over medium heat and add two tablespoons of butter. Toast the outside of the hot dog roll in the skillet until golden brown. Flip and toast the reverse side. Repeat with remaining rolls. Open each roll and fill with 1/4 of the lobster salad. 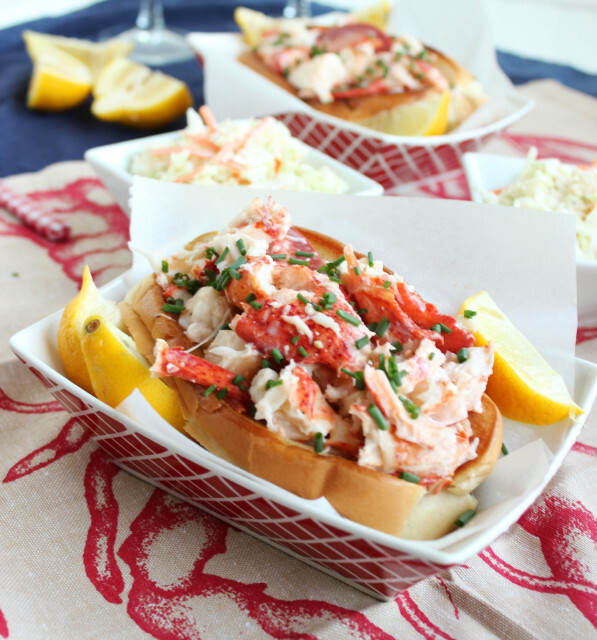 Drizzle 1 tablespoon melted butter over each roll and top with 1 tablespoon chives. Serve immediately.